An online store based out of Bangalore, Nutty Yogi gives you easy access to healthy and organic food. Neem Honey, Cacao Nibs Trail Mix, and Barley Grass Powder are just a few of their unique offerings. When you want to make healthy food choices but the grocery store is a bit too out of reach, Nutty Yogi is the answer. The brand takes a step back in time to preserve the old-fashioned goodness of nutrients, all while keeping the convenience factor in mind. Nutty Yogi's founder Pallavi Gupta travelled far and wide from the Himalayas (for pink salt and walnuts) and Rajasthan (for buckwheat and amaranath), to Udumalpet in Tamil Nadu and Kerala to source the best quality ingredients for her venture. Coming to the products they offer, you can use their organic maize flour, multi millet atta (containing jowar, ragi, bajra and the likes), and barley flour for your rotis. Sweeten up your beverages and treats with coconut sugar and neem honey, and add spice to your plate with Ayurvedic digestive salt and organic chilli powder. The platform also stocks cold-pressed oils and pulses. Apart from the staples, Nutty Yogi offers plenty of healthy indulgences too. 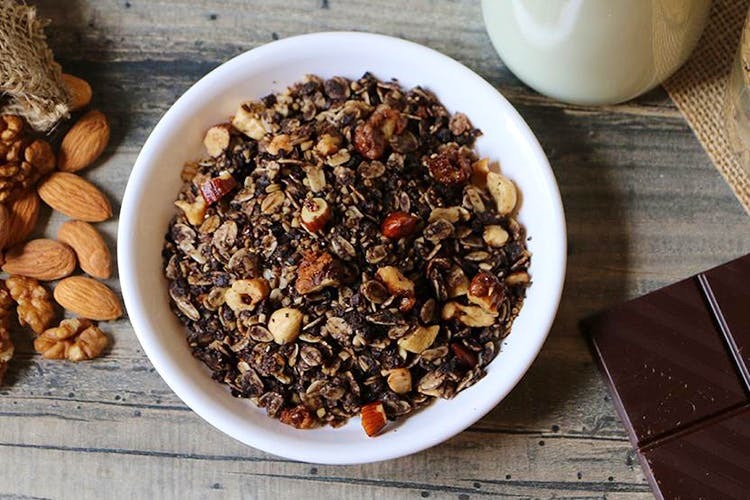 You can crunch and munch your way through packs of Cacao Nibs Trail Mix and Dark Chocolate & Walnut Granola. Spice up your meals with jackfruit pickle, Harissa sauce, and Sesame & Lime Dressings. For tea time, you can pick up Smoked Caramel Makhna, Roasted Soy Nuts and Jeera Khakhra Crisps. Since superfoods are all the sensation now, you can also fill up your virtual shopping cart with Moringa Powder, Barley Grass Powder, Hemp Seeds, and Chia Seeds. For summer, they've launched a new range of products like sattu drink, bel murabba, khatti meethi aam ki chutney and coconut flour, among many others. Do check out the blog section on their website for interesting healthy food tips and recipes.